The promotion is valid in the live bingo rooms with open chat exept for the following rooms: Summer Sizzler, VIP Deluxe and Linked & Loaded. In the 90 ball rooms, the animation will show during the prebuy time. 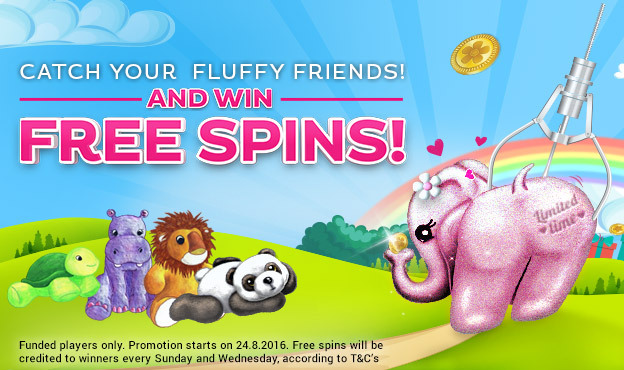 Winners will be credited with the free spins every Sunday & Wednsday by 4pm. Winnings from the free spins vouchers will be credited to the account automatically in the form of a games bonus. Last Updated on 23th August 2016.